I was traveling with work this week and realized I never posted about Scout turning 13 months! He was officially 13 months on Sunday, July 24. And just shy of that, he had his first rush to the doctor for a fall, and ended up getting his head glued (they recommended not doing stitches for a child his age because they tend to play with them). He tripped and hit the corner of a bookshelf, right on his brow. He was fine, just the gash and some bruising. 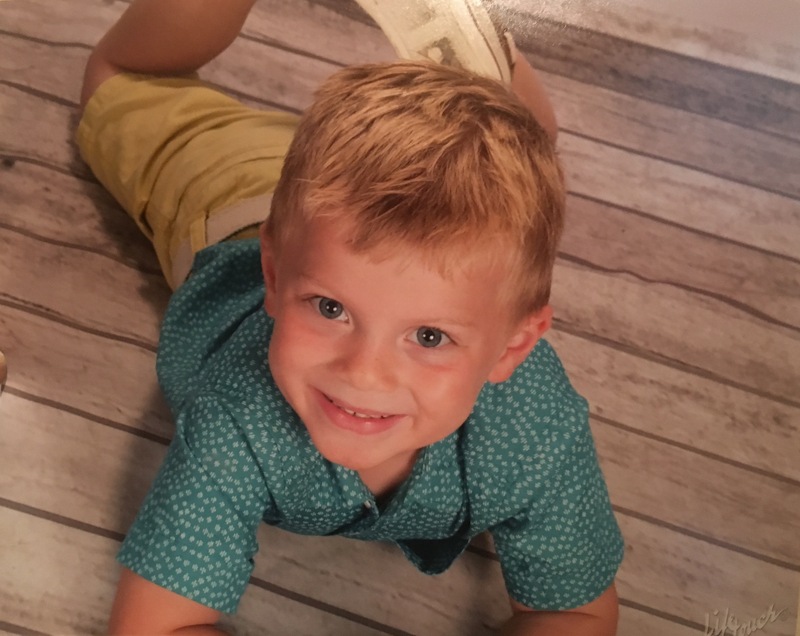 We just got back his and Sawyer’s school pictures and HOLY COW are they adorable! While there are definite differences, I can’t get over how much they look alike in a few of the pictures. You be the judge! About this age was the time Sawyer started bulking up. Based on his stats from the same age…they appear to be almost the same size. Sawyer was talking a lot more but I figure the reason Scout doesn’t talk as much is because he can’t get a word in having a brother like Sawyer. weight: 24 lbs. 5 oz. – at 12 months he was 24.2 lbs. eating: So….I am still nursing. I know I said I would stop at 13 months, but he hasn’t indicated he wants to and I am a little sentimental with this being our last baby. I just nurse him at night and in the morning and then food and regular milk the rest of the day. I hope to start weaning soon (we will see). Nothing is off the table food-wise now. He loves Vitamin D whole milk and Almond milk. He is a little picky at dinnertime and usually just eats some fruit and either chicken or fish sticks. Sometimes likes a sandwich. He eats great at school though. I would say his favorite food right now is grapes; he can eat a whole bag. He has also tried his first Andy’s ice cream and devoured it, of course! teething: 6 teeth (4 on top and 2 on bottom). His favorite snooze spot is on Dad! First time in the bike trailer. Not a fan of his helmet!